For today’s card, I used the digistamp called Stitched from The Stamping Shack Jessabelles collection. I colored her with Promarkers and used random designer paper from my stash for the banner and sentiment. Assembling the card is a quick one but I spend a little more time in the coloring part, that is what I enjoyed most. I’m loving this Promarkers, I only have the basic set but I already fell in love with them. 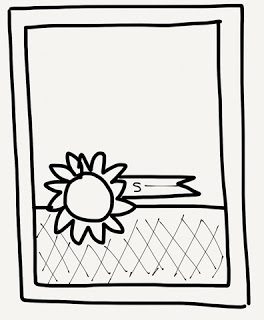 The Daisy Doodles Creative Challenge # 78, Anything Goes. 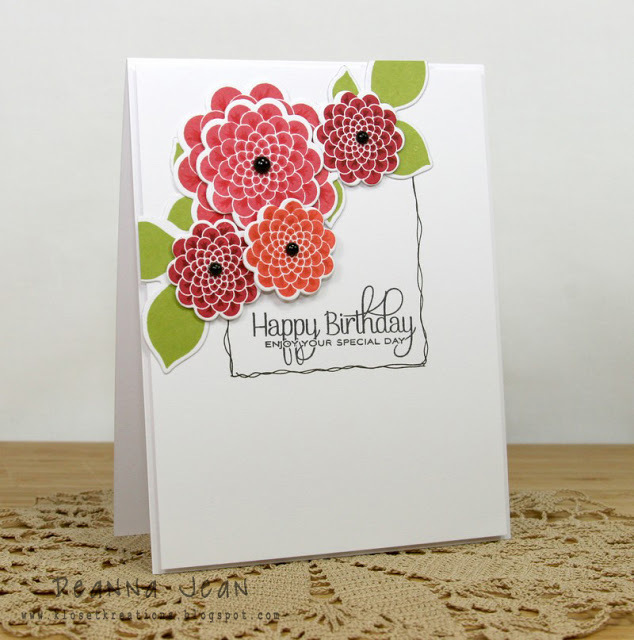 Today’s card follows The Stamping Shack Red, Pink and White challenge. 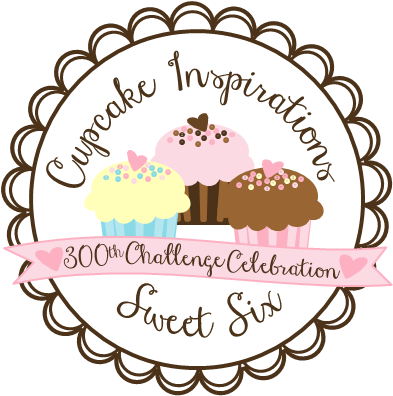 The challenge will run until the end of February so do visit The Stamping Shack blog for details and see more inspirations from the design team. 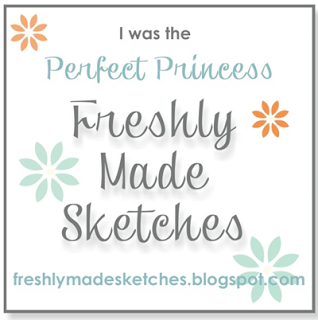 For the background, I stamped a running graphic stamp called Geo-graphic stamp from Paper Smooches and a sentiment from Hero Arts. 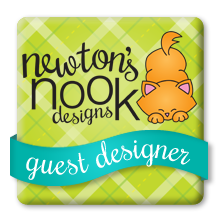 I used a zigzag stitch to adhere my banner tag though it may not be so visible in the card and a diecut background for my image. Note, a sale on The Stamping Shack website is ongoing until Sunday 23.59GMT. All the stamps will be .99p. 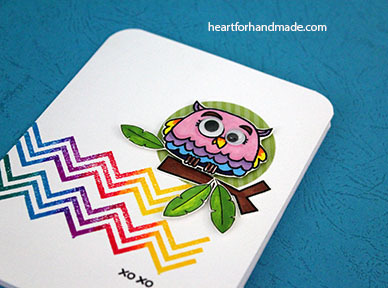 Visit The Stamping Shack store and have fun using the digi images on your cards too. 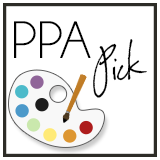 I’m entering this card too in ColorQ Challenge # 176. 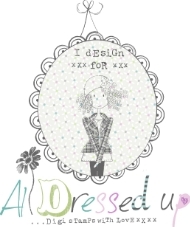 Did this XOXO card for Paper Smooches search for March Guest designer. 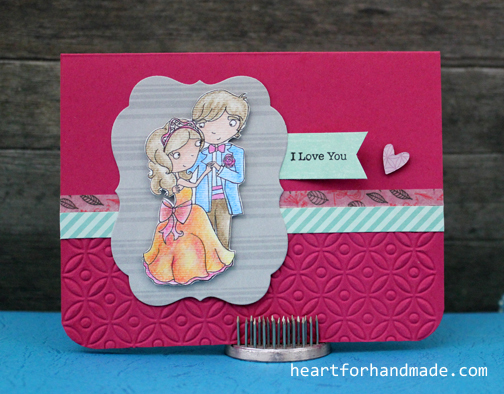 I used all stamps from Paper Smooches. 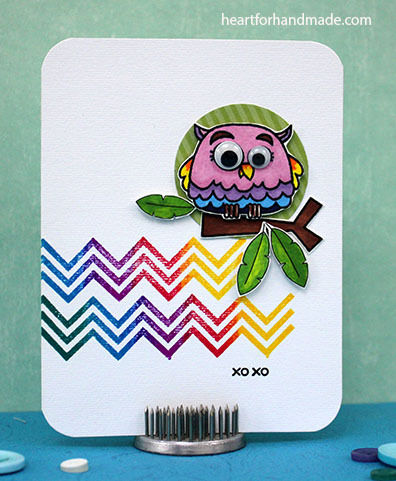 The running zigzag stamp is from PS Geo-graphic stamp set, stamp pad from Kaleidoscope. I had fun working on this card, the coloring, cutting and piecing them together to create a scene. 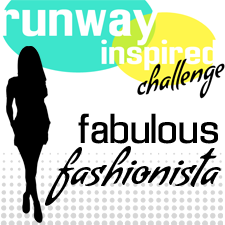 And my take for the challenge.. In this week’s challenge, an inspirational photo will be one’s guide to create a project. I used a digi image from Paper Smooches, and colored the little guy in blue. For his eyes, I used googly eyes for added character. 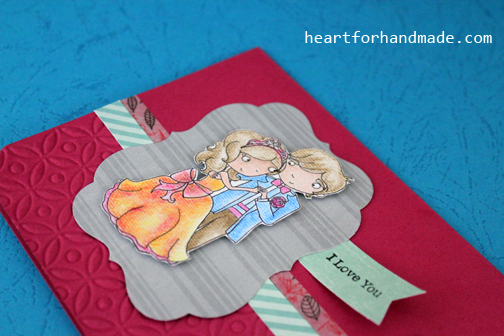 The smooches sentiment and heart came from two different sets of Paper Smooches stamps too. Notice the end of the orange paper? I run a zigzag stitch from my sewing machine. 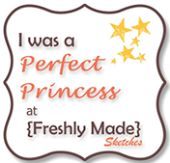 I miss sewing but time doesn’t permit me to do any projects lately. 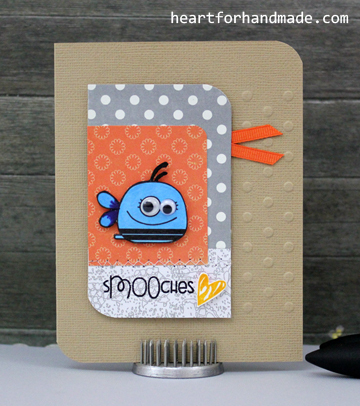 On my card base, I embossed part of it with my Cuttlebug embossing folder. I used a sketch from CAS(E) this Sketch # 13. 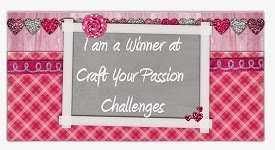 I’m entering this card too in Simon Says Stamp Anything Goes Challenge and My Mums Craft Shop Valentines / Love Challenge. 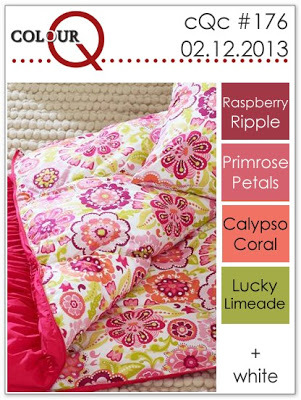 Will also participate in Card Mania Challenge, CMC # 13 Color Combo. Can you believe that the first month of 2013 has ended so quickly? 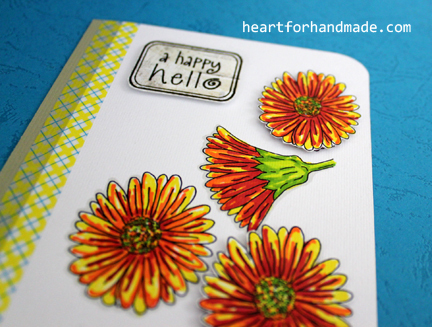 It’s the first day of the month and it means a new Challenge at The Stamping Shack blog. 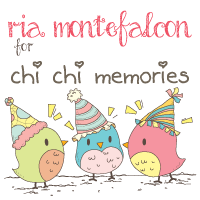 It’s February and as we all know, it is a love month and this week’s theme falls perfectly in the celebration of the coming Valentine’s day. The challenge theme for this week is called Love Is In The Air. 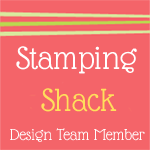 So play along with us and share your creations at the Stamping Shack blog. 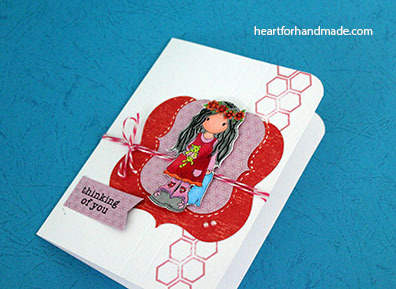 To jump-start, I created a card using a digistamp from the Stamping Shack called True Love. You can purchase the digistamp at the Stamping Shack store. 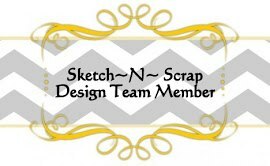 For this landscape card, I embossed the bottom part, added a patterned paper and thin strip of washi tape. For my True Love digistamp, I colored them with watercolor pencils then cut them along the lines. I used Papertrey Ink die cut for the grey background to nestle my digi pair. A simple I love you sentiment banner finishes this CAS card. 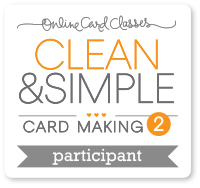 I’m entering this card in Clean and Simple Stamping sketch # 224. 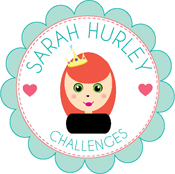 I also found the challenge blog Moving Along with the Times Challenge. 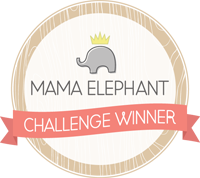 I’m entering this card too in their Punch Out challenge for the week.